The following publications are available to download. If you would like hard copies please contact the Carer Support Unit on 02 4320 5556. 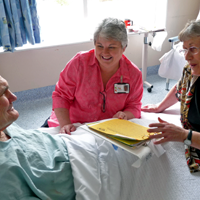 TOP5 in hospital for an adult who has dementia, memory loss, or cognitive impairment. A nurse will fill out a TOP5 form with you so that your suggestions are understood and agreed as achievable for the ward staff. The tips you give are recorded on the gold coloured TOP5 form and placed on the patient’s bed chart so all clinical staff can quickly access your tips. Ideally each TOP5 tip will include a reason, an action and a predicted outcome so that staff will know what to do, why, and what to expect. The TOP5 processes can assist carers and agencies capture and detail support strategies for use across all community care settings, to help individuals who may receive services from a number of different agencies. 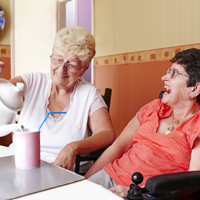 If the person also uses community transport and centre-based activities, respite care or therapy, their TOP5 can help staff or volunteers to make the care more specific and interactive. ​The TOP5 Community brochure may be downloaded for use to inform new carers and casual staff to the process. TOP5 for residents of aged care facilities. 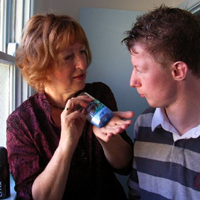 Accessing residential aged care for a person can be an emotional and challenging experience. TOP5 individual resident strategies can be used in everyday situations at the facility and can be transferred with the person should they require hospitalisation. The TOP5 Residential Brochure is offered to the family to explain and reinforce the process. Residential care staff should send a copy of the person’s TOP5 Residential Form with the ambulance officers for use in transit – the ward staff will incorporate the strategies into the patient care plan in hospital. 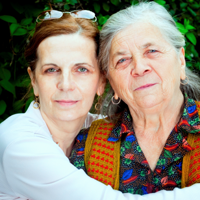 TOP5 for adults living with parent carers. As a parent carer, you know what staff need to be specifically aware of so that they can appropriately support your adult child. Your TOP5 care tips and unique information about the person you care for will assist all community care workers to better understand their client and his or her needs. 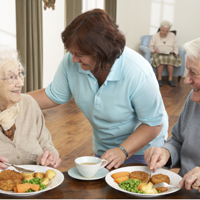 TOP5 helps staff working in your home, in day centres, respite care, and in health care settings. ​ A TOP5 can be developed for everyday interactions with the client and is an excellent information source for new and casual staff. The TOP5 strategies can move with the client across settings such as supported employment, respite care and be transferred with the person in case of health care emergency and/or hospital admission. The TOP5 Supported Accommodation brochure is a ready source of information for carers/family/new or casual staff. TOP5 for a child with additional needs. As a carer, and perhaps a parent, you hold the key to your child’s communication and behaviour. This information and the specific unique care tips you provide, help staff when working and assisting your child. 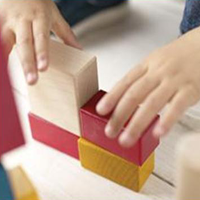 Raising awareness of the TOP5 processes with parent-carers and supporting the completion of the Hospital Form can provide health staff with relevant key information on strategies to reduce anxiety and personalise care for the child. In addition, the knowledge that staff are aware of the unique needs of your child if you are unable to be present at the bedside is very comforting to the parent-carer. Review the TOP5 presentation for more information on the background and rationale for the use of the TOP5 in the Central Coast Local Health District. The Hospital brochure provides an overview of the process and gives parent-carers hints and tips on the development of a TOP5 for their child. TOP5 for people not fluent in English. The TOP5 brochures were kindly translated into these community languages by The Carer’s Program, Sydney Local Health District. To communicate effectively with carers who are not fluent in English, please call the Health Care Interpreter Service (HCIS) – Central Coast face-to-face bookings 1800 674 994. In the event that a health care interpreter cannot be provided on site, telephone interpreting or video conference interpreting, where it is available, should be considered. The HCIS should be contacted first and if they are not available the Commonwealth Translation and Interpreting Service (TIS) should be contacted on 131 450.